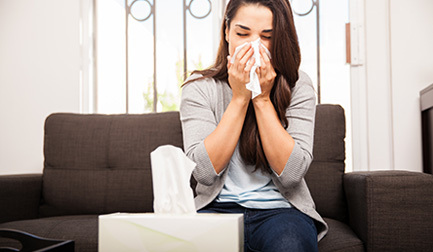 Your HVAC unit may be keeping you cool or warm as seasons change, but it could also be sabotaging your health by affecting the air quality in your home. The experts at Pilot Mechanical Heating & Cooling have solutions to combat household allergens and prevent their growth. With a proper air quality assessment from our team, you will receive accurate, thorough inspections to have your air cleaned and freed from harmful contaminants in no time. We pride ourselves on our quality work and our customer retention speaks for itself. What Causes Poor Indoor Air Quality Inside Your Home? Dry air wreaks havoc on our sinuses and skin. When we close our windows and turn on the heat during the fall and winter months, we are drying out the air inside of our homes. Signs of dry air include fly-away hair, little static shocks when you touch things, or itchy skin. 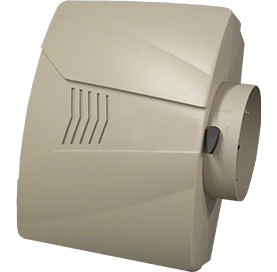 At Pilot Mechanical, we recommend that all of our customers purchase a humidifier to regulate the humidity levels in their homes. With a humidifier from us, you will significantly improve the air quality in your home, along with improving the health of your family for an overall more comfortable, risk-free environment. Carbon monoxide is an odorless gas that can go unnoticed until it’s too late. This sneaky, toxic gas finds its way into your home through a wide range of seemingly harmless sources such as fuels not burning completely from natural gas or heating oil. Standard smoke detectors do not detect carbon monoxide. If you have older furnace or gas appliances, it’s important to have carbon monoxide detectors installed to protect your home from this silent killer. Our team will be able to determine what type of sensor your home needs that fits your budget. Source removal is the only way to rid your home's duct of particulates and contaminants. At Pilot Mechanical Heating & Cooling, our team adheres to duct cleaning standards for source removal and use advanced techniques and equipment that will ensure your air ducts are free from any contaminants. UV lights have been utilized in clinics and hospitals to keep both air and medical surfaces clean and disinfected for years. While UV lights might not be a cure-all for all of your poor indoor air quality problems, studies have proven that they are effective at eliminating organic pollutants such as mold, mildew, fungus, bacteria and viruses in your air ducts and where moist conditions may prevail. Our professionals at Pilot Mechanical Heating & Cooling will install a single or dual UV lamp within your duct that will emit a continual germicidal light that will be capable of penetrating the DNA of microorganisms like mold and remove them as they circulate through your HVAC equipment. To have a professional analyze your home’s indoor air quality, contact Pilot Mechanical Heating & Cooling. Based in the Rochester area, we serve customers in the Shelby Township, Macomb, Royal Oak, and Troy, Michigan areas. All of our HVAC technicians are licensed and insured. In addition, they are always prompt, professional, and work around your clock. We offer free estimates up-front and a warranty on our parts and labor. If you are looking for reliable indoor air quality services, don’t wait - call Pilot Mechanical Heating & Cooling today!